April 13th is World Sarcoidosis Day, and we have a couple great events planned, including our new Illuminate the Night: Shine a Light on Sarcoidosis project! 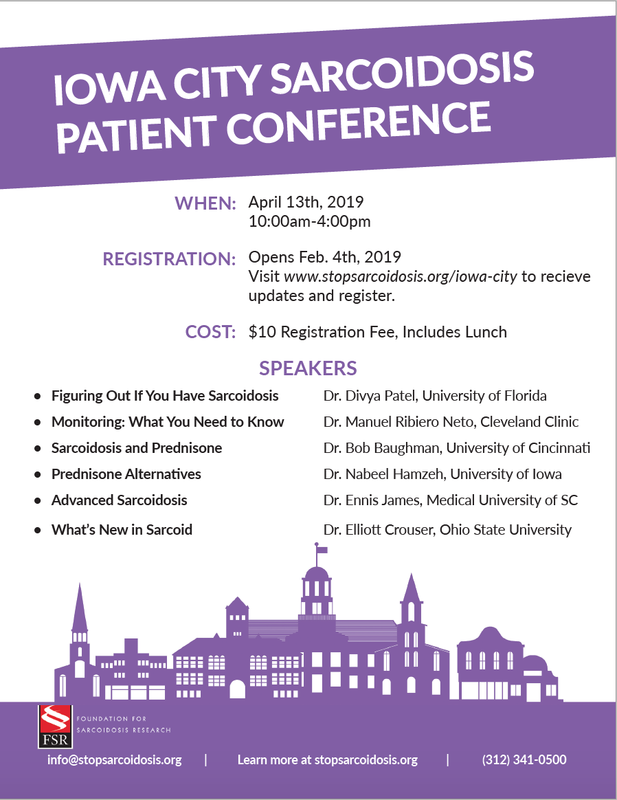 However, the most informative event of the day will be our Patient Conference in Iowa City. To celebrate World Sarcoidosis Awareness Day, we are asking all attendees to wear purple. 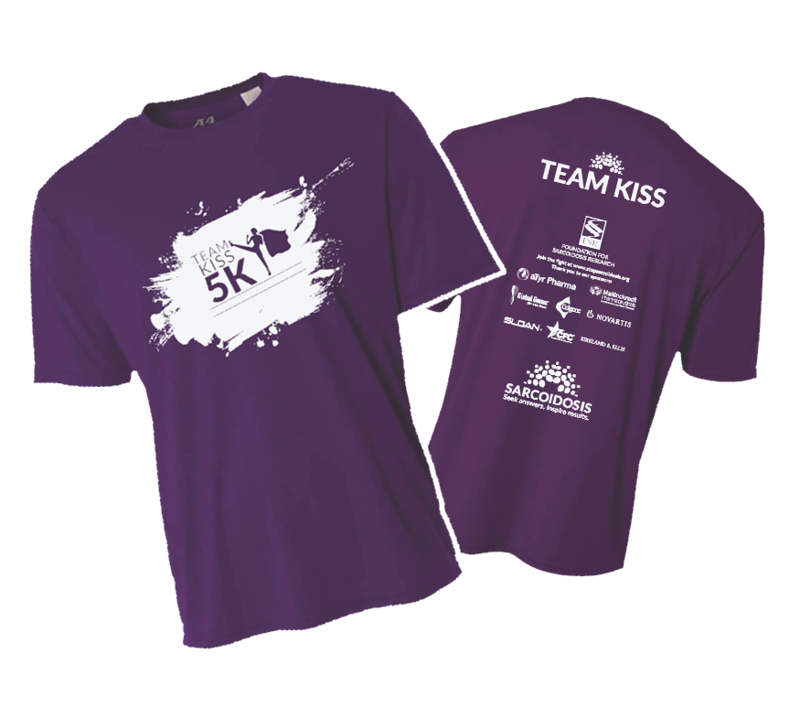 If you are in need of some new purple gear, you can choose to purchase our 2019 Team KISS t-shirt when you register for the conference with the form below! Conference attendees will also have the option to join us for a group photo at the end of the event which FSR will share on social media. Also, be sure to check out the line up of doctors who will presenting in Iowa! Not able to attend Iowa but still want a t-shirt? Since not everyone is able to join a Team KISS event in person, we also offer a “virtual walker” registration option. This way, everyone has a chance to kick in and raise awareness, and snag a cool t-shirt too! Sign Up as a Virtual 5K Walker!